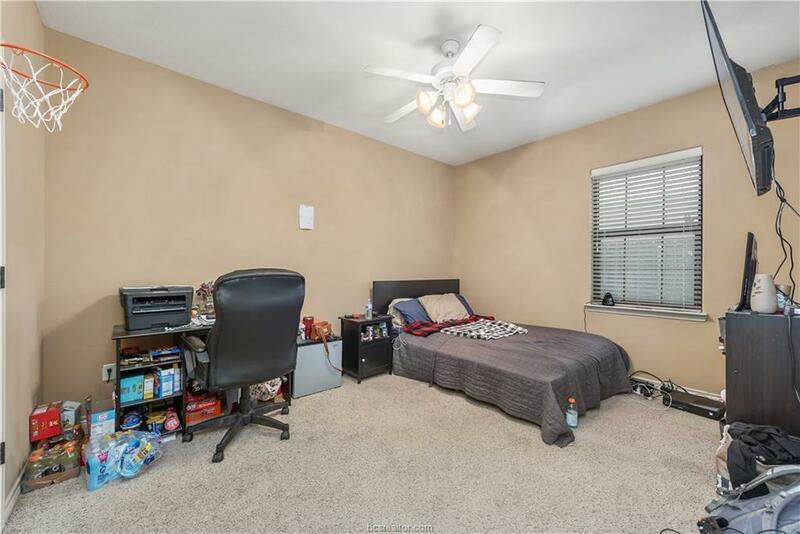 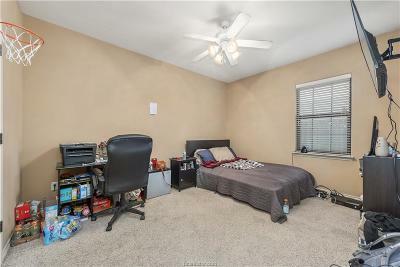 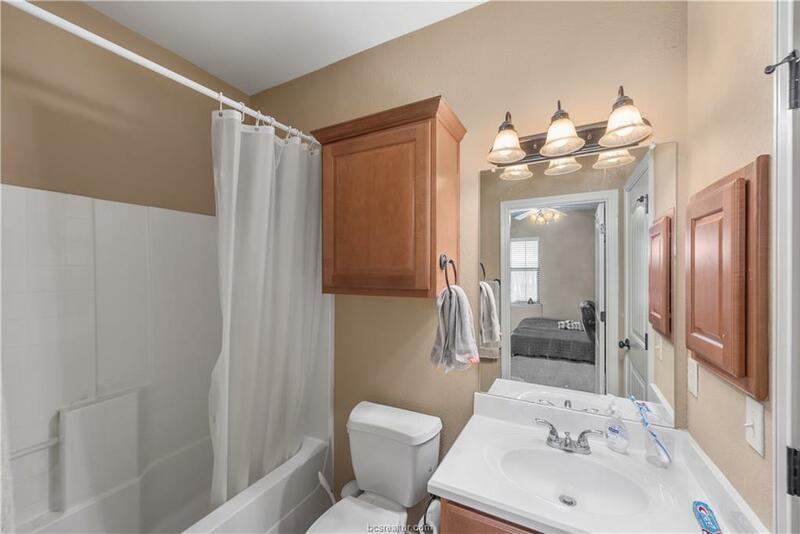 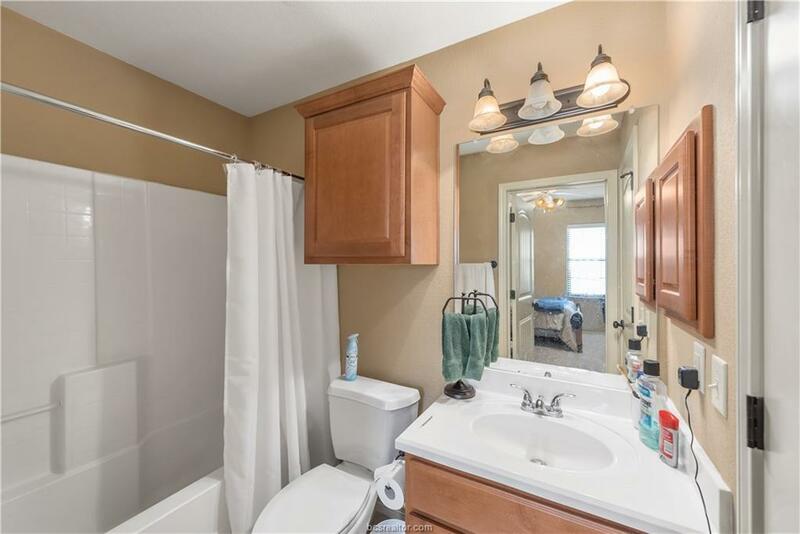 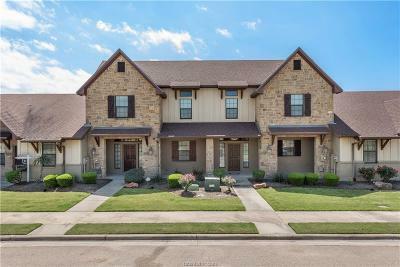 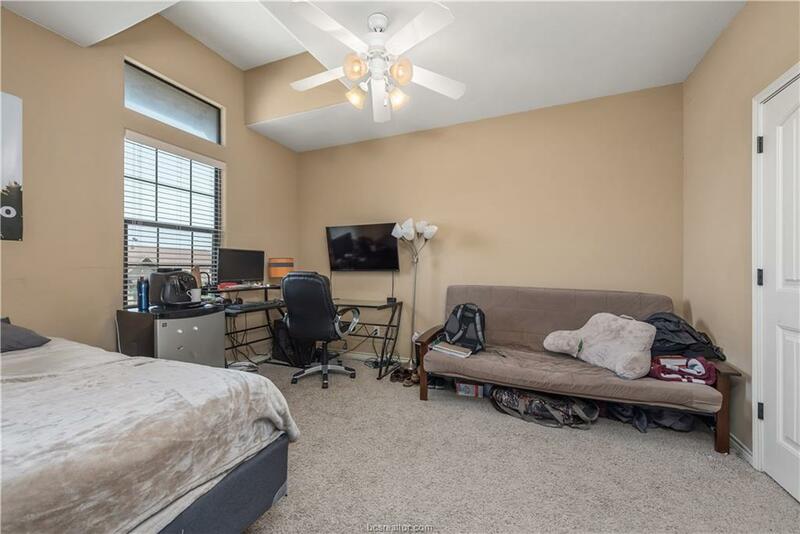 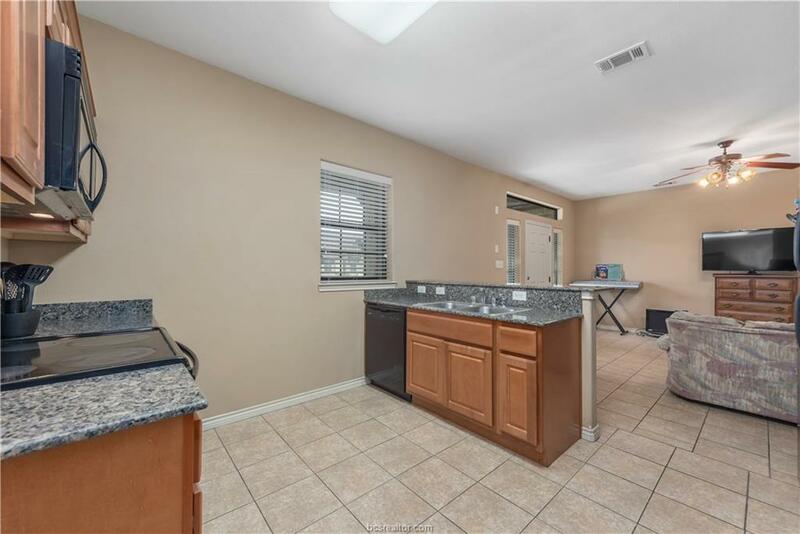 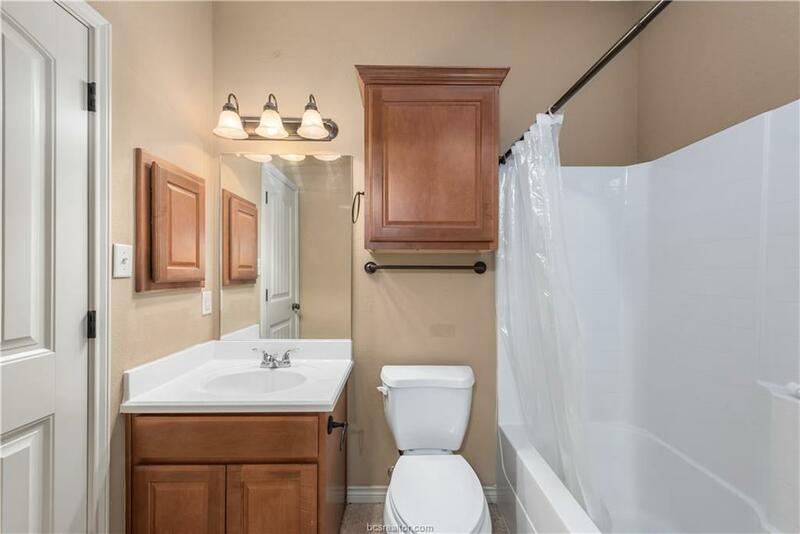 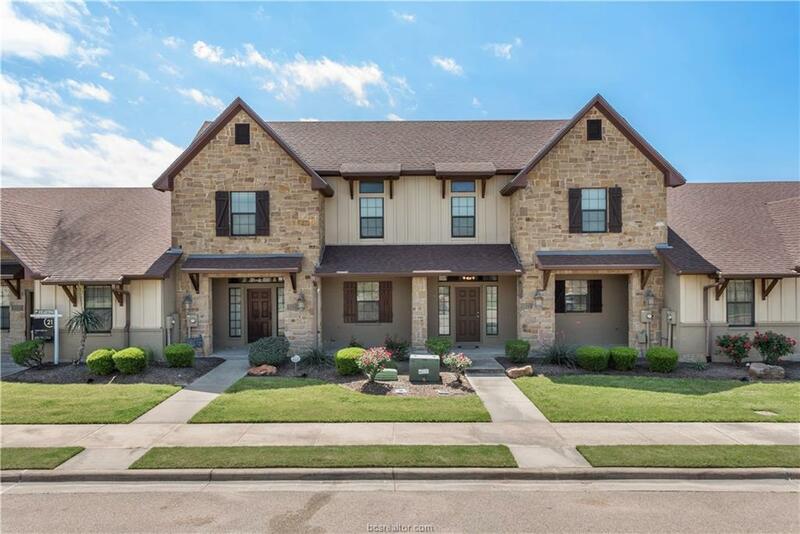 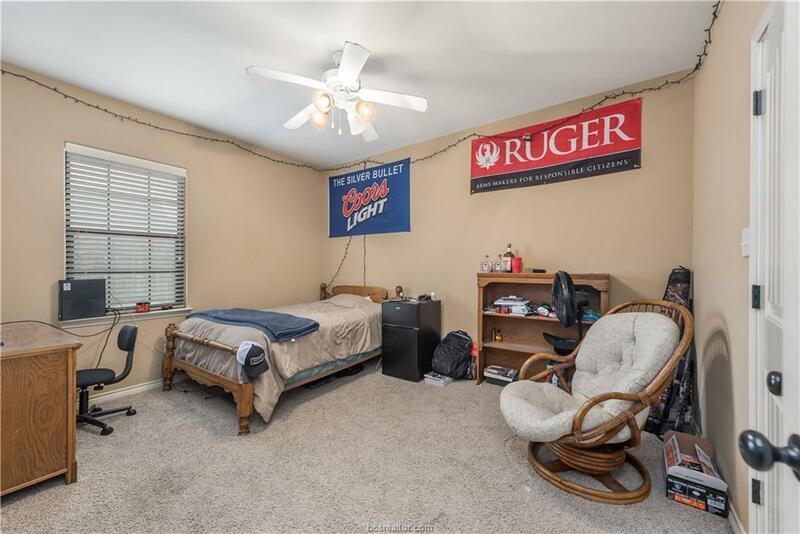 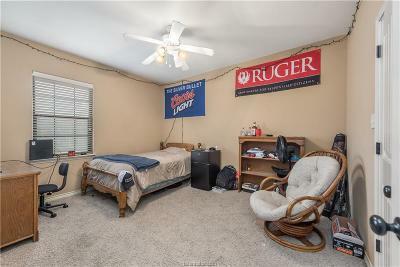 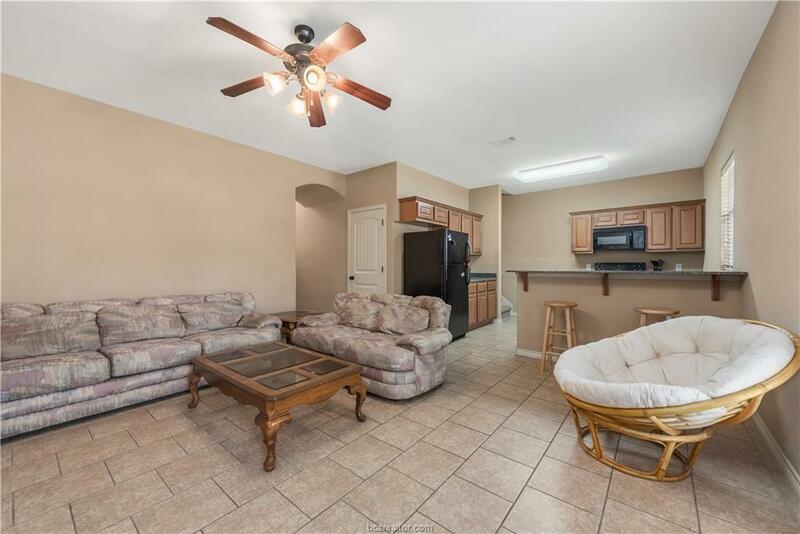 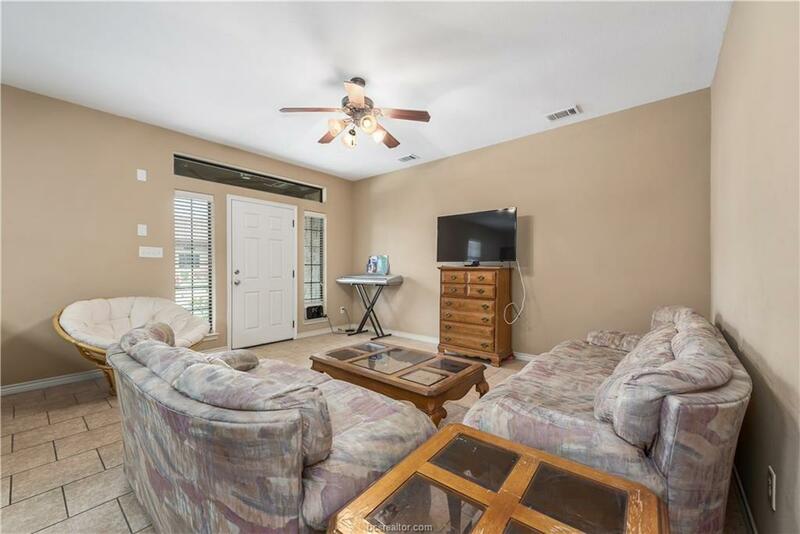 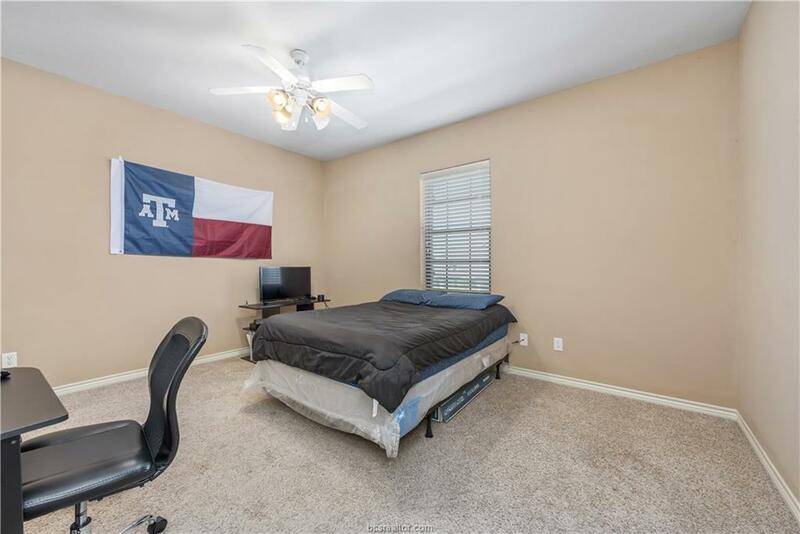 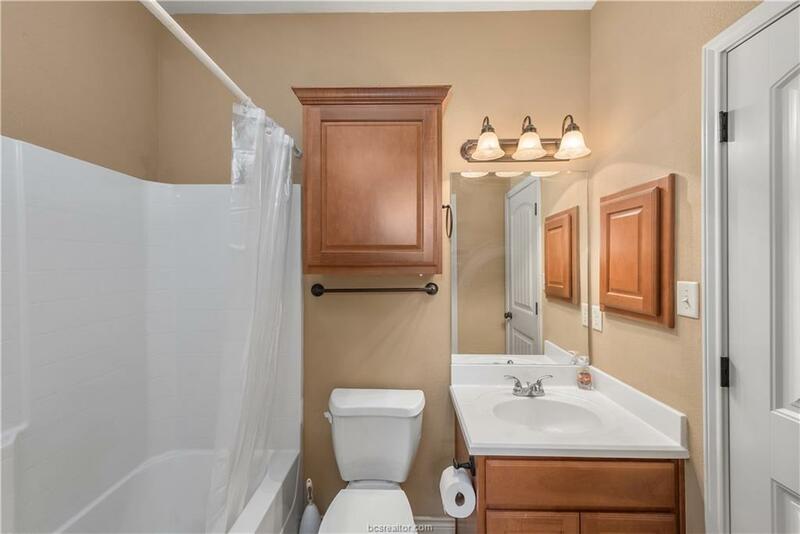 This 4 bedroom 4 bath townhome in the Barracks features spacious size bedrooms each with its own personal bathroom, tile flooring throughout and carpet in all the bedrooms, granite counter tops and ample cabinet space in the kitchen. Refrigerator, washer and dryer are included. 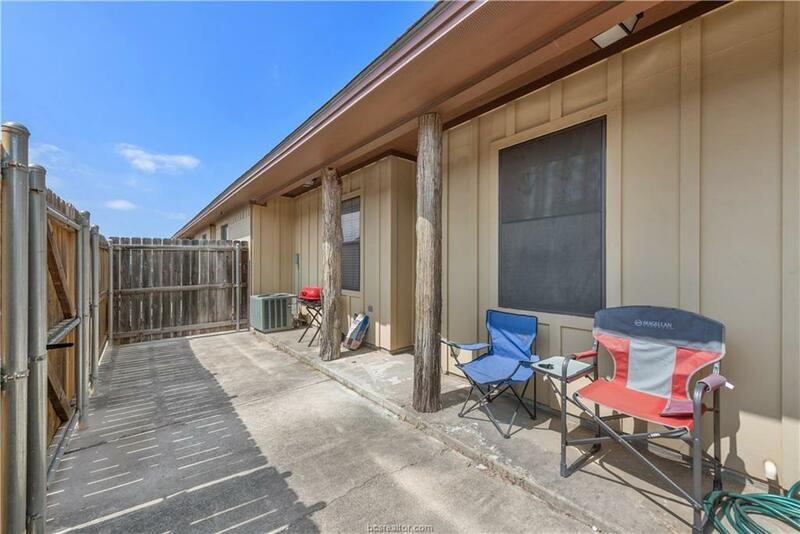 Exterior back side includes a private fenced in paved patio with enough space for grilling out and four reserved parking spaces. This master planned community is located less than 3 miles from Texas A&M and offers a variety of amenities: multiple swimming pools, one pool with a swim up bar and lazy river, outdoor fitness center areas, a cable wakeboarding park with sandy style beach front, dog park, volleyball and basketball park, clubhouse with arcade and an In-House Brewery, private cabanas and more!! 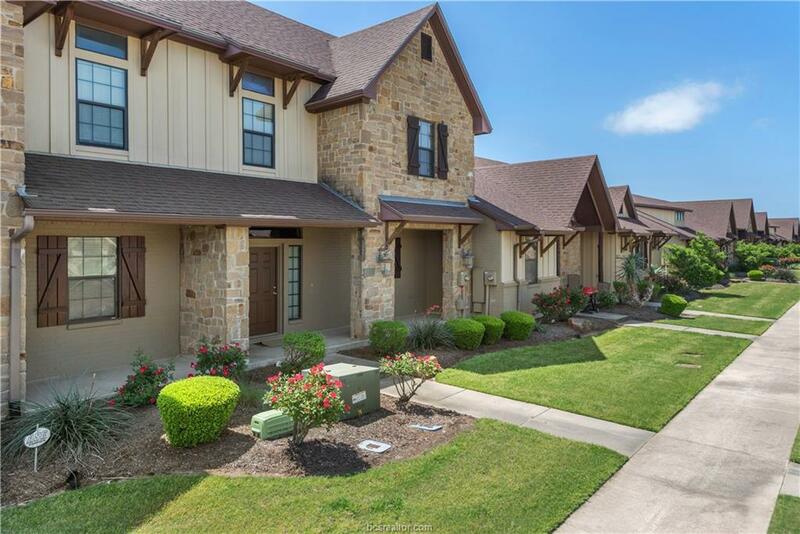 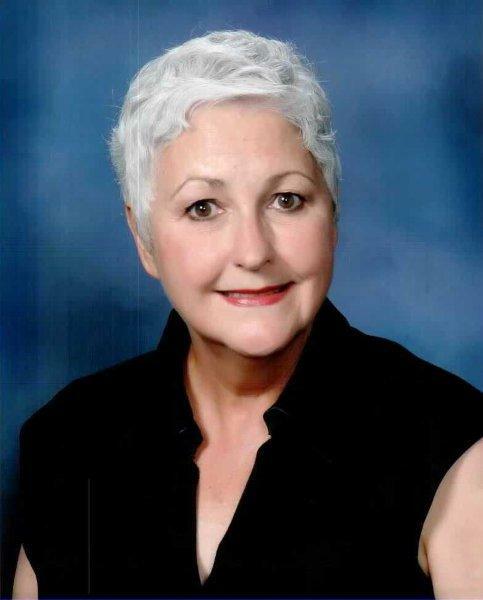 HOA includes high speed internet, digital cable, full lawn care and exterior maintenance. 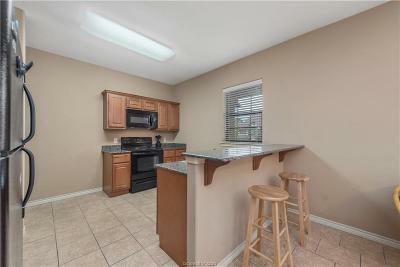 Schedule your showing today for this well priced townhome!